The VIA Jaws 10 utilises our RAPTOR UL fabric with Robic¢ yarn, which has improved strength and low weight helping you go further faster. 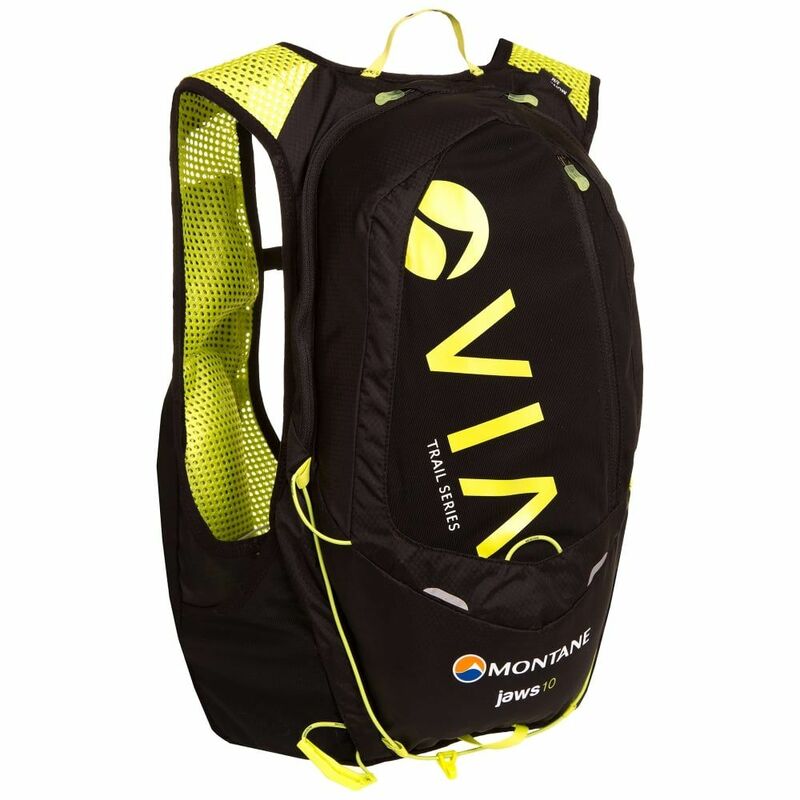 The revolutionary Montane Freelight Chassis has been improved with a new lighter weight, more breathable CONTACT Flyte Mesh Air with the addition of POLYGIENE® permanent odour control, a first for any trail running pack. 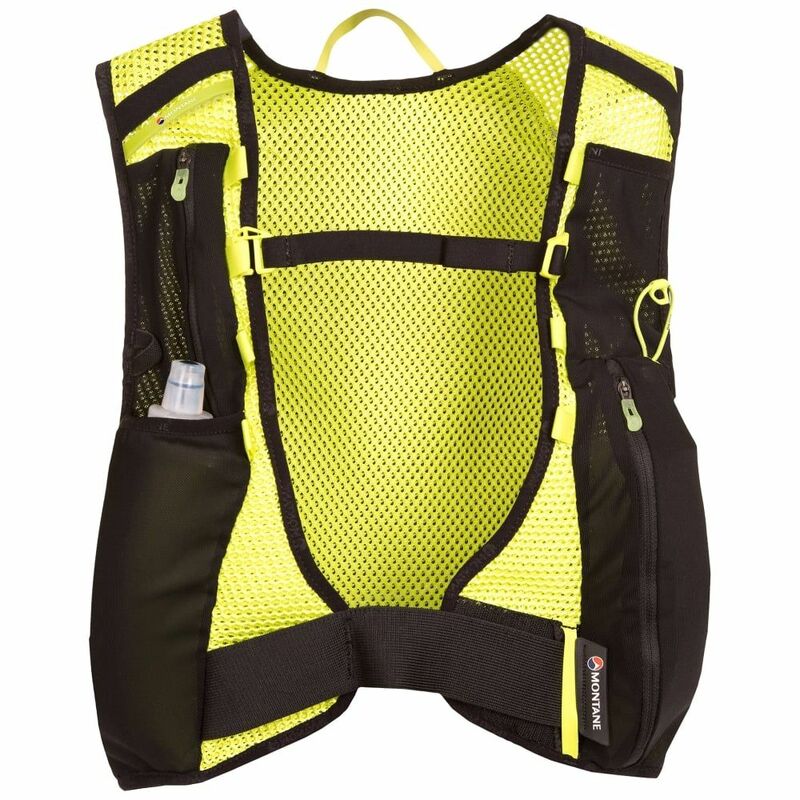 Its stretch body fit remains unrivalled providing unique weight balance control, allowing you to wear, rather than carry your kit. 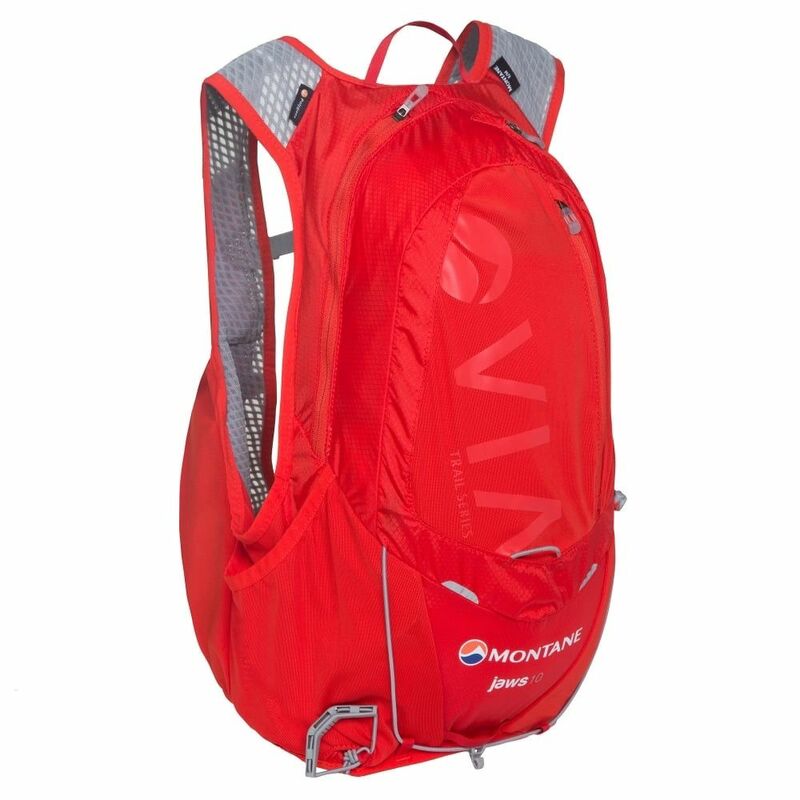 Including two Montane SoftFlasks¢ 500ml for fast and compact hydration whilst on the move and multiple storage options, including the newly enlarged side stash pockets, the super lightweight Jaws 10 is perfect for ultra distance race events or long trail days.